Antonin Artaud's journey to Ireland in 1937 marked an extraordinary--and apocalyptic--turning point in his life and career. 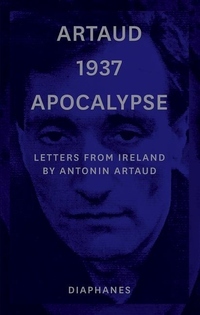 After publishing the manifesto The New Revelations of Being about the "catastrophic immediate-future," Artaud abruptly left Paris for Ireland, remaining there for six weeks without money. Traveling first to the isolated island of Inishmore off Ireland's western coast, then to Galway, and finally to Dublin, Artaud was eventually arrested as an undesirable alien, beaten by the police, and summarily deported back to France. On his return, he spent nine years in asylums, remaining there through the entire span of World War II. During his fateful journey, Artaud wrote letters to friends in Paris which included several "magic spells," intended to curse his enemies and protect his friends from the city's forthcoming incineration and the Antichrist's appearance. (To André Breton, he wrote: "It's the Unbelievable--yes, the Unbelievable--it's the Unbelievable which is the truth.") This book collects all of Artaud's surviving correspondence from his time in Ireland, as well as photographs of the locations he traveled through. Featuring an afterword and notes by the book's translator, Stephen Barber, this edition marks the seventieth anniversary of Artaud's death.